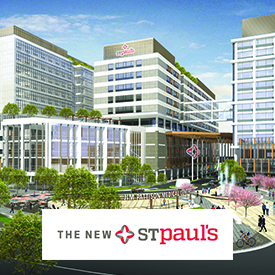 We’re reimagining St. Paul’s, with the patients at the heart of the plan. Your donations to St. Paul’s Foundation have an impact on every patient, resident, family member and department across St. Paul’s and all other Providence Health Care hospitals and residences in BC. By supporting St. Paul’s Foundation, you are helping all British Columbians. For inspiring stories, research breakthroughs, and the latest news from St. Paul's Foundation. 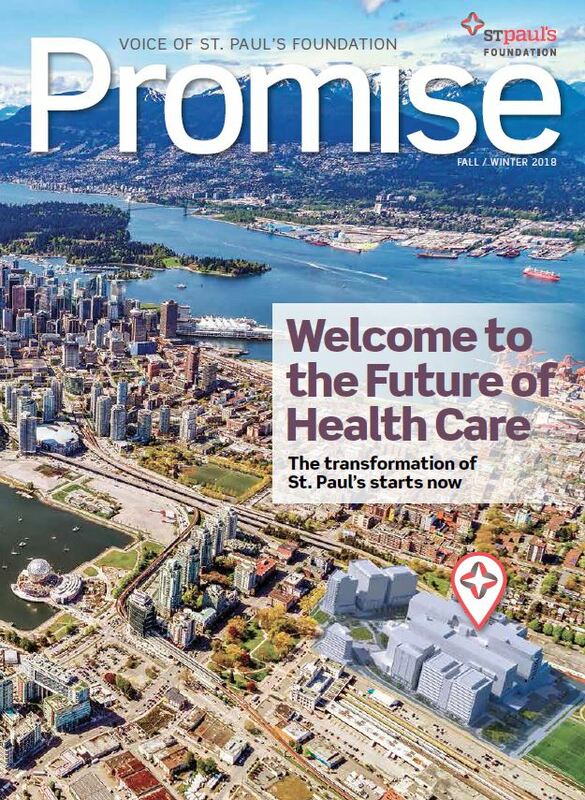 Promise, the semi-annual magazine of St. Paul’s Foundation, provides updates and in-depth features on the innovative and world-leading care, research and teaching taking place at St. Paul’s and other Providence Health Care hospitals and residences in British Columbia. 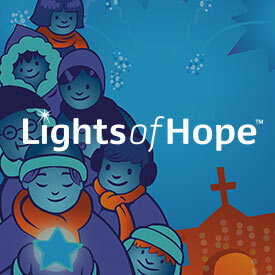 Stories of hope and inspiration – read about exceptional care and advances in treatment.